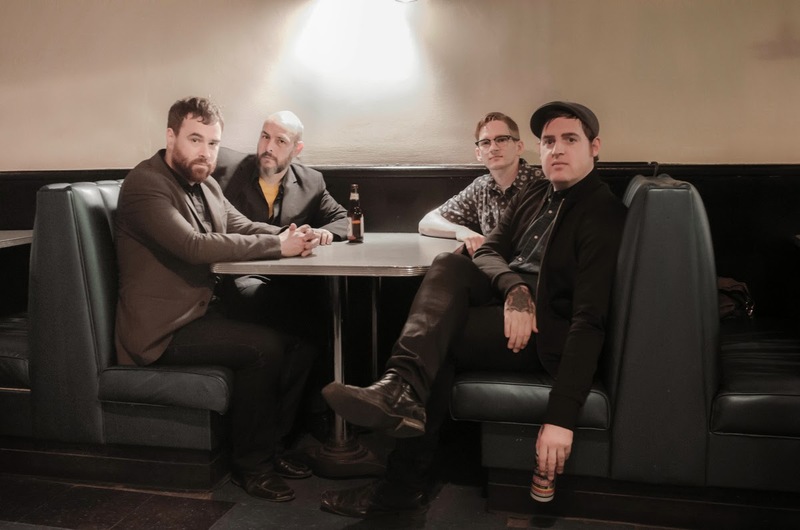 The Autumn Stones have today released a new single called "Endless War" and it's aces and you can get via Bandcamp for free...but you should pay for it 'cause it's really good. The track manages the remarkable feat of sounding like both early and late era Undertones. Singer Ciaran Megahey recalls Feargal Sharkey A LOT on this track and to say that is a compliment. The other band members -- Gary Butler on saxes, Michael K. Newton on bass, and Matthew McLaughlin on drums -- play furiously alongside Ciaran as the cut races forward. For being inspired by a Christopher Hitchens article the song is surprisingly peppy and downright euphoric. Again, think Undertones and "It's Going to Happen" where a serious subject was wed to an upbeat tune. Follow The Autumn Stones on their official website here.